Co-write the diagnosis narrative with your clinician. It started in May 2015 with an upset stomach. Then abdominal pain slowly crept in. It felt like an indigestion. When the pain became unbearable, Dan decided to go to the Emergency Room. He was frightened and confused. Dan tried to explain the situation, but the ER doctor would not listen. He asked for a CT scan, but the doctor dismissed his concerns. An ultrasound was done instead. Although it showed something unusual in his gut, there was no diagnosis and Dan was sent home. The condition did not improve over the weekend and Dan planned to see a Gastroenterology specialist at another hospital on Monday. Over the weekend Dan gathered his thoughts and went to the appointment prepared. The doctor listened. Within a few minutes a CT scan was ordered. The scan revealed a critical acute condition. Dan was immediately sent to the operating room for emergency surgery. Any additional waiting would have been fatal. The correct diagnosis and timely action of the GI doctor is the reason he is alive and back to health today. Every 9 minutes a person dies from diagnostic errors and every minute 23 people are misdiagnosed in the US! If you consider yourself relatively healthy and you don’t frequent the doctor’s office, chances are you have never heard of diagnostic errors. And if you did, most likely you think it can never happen to you. However, 12 million Americans are misdiagnosed every year. If Dan had recorded his symptoms as they appeared, with dates, times, and severity. If he had noted that laying down helped lessen the pain, while eating increased the discomfort. If he would have documented his condition using photos and videos. If then he had printed out all this information and brought it to the Emergency Room, together with his personal and family health history, detailed medication list, allergies, immunizations, and recent lab tests, would the ER doctor have listened and taken his condition seriously? Having structured information handy would have helped Dan organize his thoughts as he was talking to the ER doctor, since the pain was overwhelming and there was no one by his side to help him tell the story. I believe that presenting relevant information to the doctor can make a big difference. After his dramatic experience, Dan and I decided to create a patient-centric app, Health Vector, which can strengthen the patient-doctor partnership and help reduce diagnostic errors. Doctors are experts in medicine and their goals are to diagnose and treat. Patients experience symptoms of their illness continuously and have intimate knowledge of their own health. This information is often unattainable through tests and medical history alone. If people are able to track their symptoms and vitals over time and ask the right questions, they are able to communicate with the doctor in a concise and meaningful way as an equal partner. Having relevant information, the clinician is better equipped to arrive at the correct diagnosis. The app focuses on 3 important aspects of patient centricity: getting insights into your own health to increase health literacy, preparing for medical appointments by focusing on what is relevant, and further improving your understanding of treatment plans. The latter is not a moot point – health literacy drives higher rates of adherence to treatment plans. Lifestyle changes stick because they are easy to understand. Adherence to treatment plans is a completely different story. 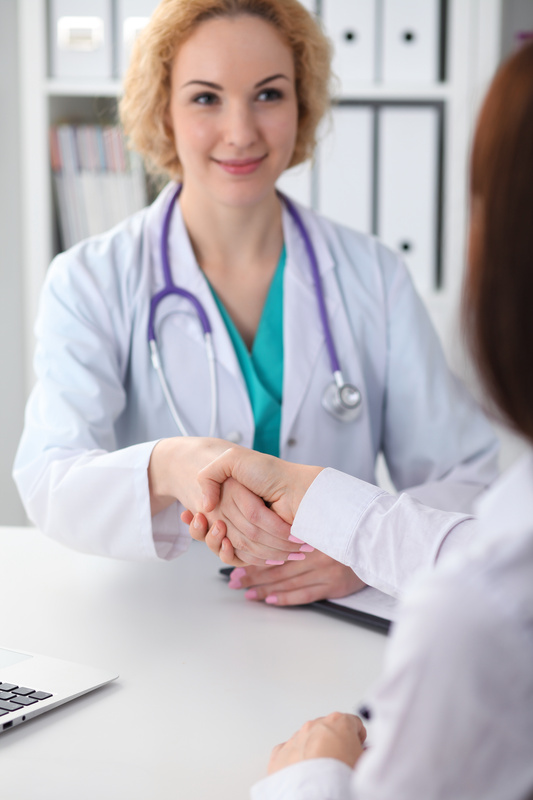 You need guidance, reminders, and a meaningful conversation with your clinician. The free app is available on Google Play and iOS App Store. You can learn more on our website www.healthvector.world. Maria Zhorina is passionate about patient engagement and improving healthcare quality. She holds a PhD in Healthcare Services Management from Ohio State University, a Masters degree in Bioethics from Case Western Reserve University and a Masters degree in Philosophy from University of Virginia. Maria has experience in healthcare safety, quality improvement and patient outcome measurement initiatives. She is a champion for integrating patient input in the personal health record and a proponent for data-driven preventative medicine.